If you frequent my blog you might have noticed that I’ve writen about how I cut ties with cable a few years ago. I mostly watch stuff on YouTube, Netflix, and HBO NOW for entertainment. I only miss cable when it comes to sports. Earlier this week the Giants were still in the playoffs and I wanted to watch the game but had nowhere to watch it. I knew the game was going to be aired on FS1 so I googled ways to stream it for free. That’s when I discovered Sling TV’s free seven day trial membership and my life was changed forever. 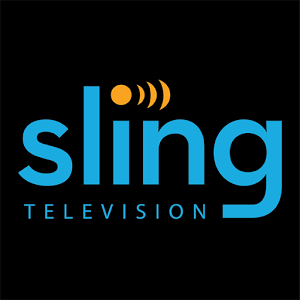 In case you don’t know what Sling TV is (just like me earlier this week), it’s basically streaming cable with select channel packages. Sling Orange is twenty bucks a month and Sling Blue is twenty-five bucks a month. They have a lot of the same channels, but Sling Orange has ties to Disney so they have Disney Channel, ESPN, ESPN2, ESPN3. Sling Orange has ties to FOX, so they have FOX, FS1, FS2, and FX. The Giants game was on FS1, so I got the Sling Blue package. I was planning on getting it just for the free trial and canceling it after 6 days, but I think I’m gonna keep it for a while. It a lot of the channels that I actually watched when I still had cable. It has FOX, NBC, AMC, History, Comedy Central, TBS, TNT, National Geographic, Viceland, NFL Network, CNN, Cartoon Network, and more. It even has a few local channels so you get regional news. You can watch whatever the channel is broadcasting live and there are a few shows that are on demand. If you change the channel it gives you the option of starting the new show from the beginning or picking up in the middle. I didn’t set out to write a commercial about how great Sling TV is. It just sort of happened. That’s how rad it is. It’s not perfect. There are commercials. You can’t pause certain programs. It’s still worth it. Try it for a week if you kind of miss cable. There’s nothing to lose. You can thank me later.